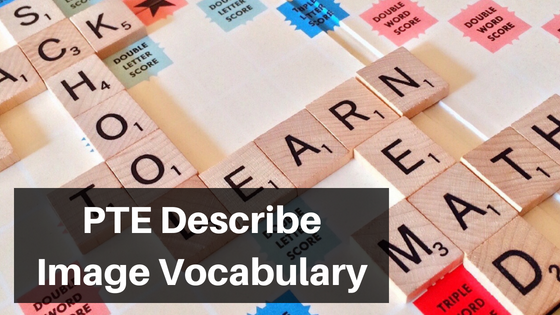 PTE Describe Image Vocabulary – In this post, we are going to see some of words and phrases that will help you to in solving PTE describe image questions. PTE describe image is one of the challenging tasks where you need to explain various details in limited time. The question is not just about explaining the things which you see on the screen but the actual expected answer from test taker is to provide all the key elements from the image. 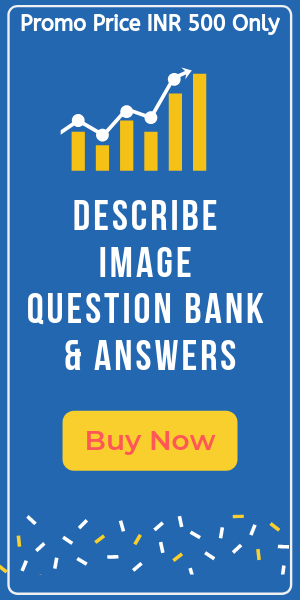 The main purpose of Describe image task is to check test takers English language speaking skills, fluency, and command over the English language. You only can view the image for 25 seconds. In this 25 seconds, you need to analyze the images and take out all the key elements mentioned. Once 25 seconds are over, you will get 40 seconds to explain those key points. Proper grammar, pronunciation, and variety of English vocabulary are expected from test taker. You should speak at the natural pace and Do not use/repeat the same words while answering the question. Try to answer the response in a structured manner. This will make your response up to the point and you can finish your response in 40 seconds easily. Try to avoid the same words provided in the question/image. Use alternative words with similar meaning. PTE describe image vocabulary is very crucial while solving describe image tasks in PTE academic exam. With the help of this vocabulary, you can demonstrate your command over the English language and in turn that will help you to gain good points in PTE describe image questions. Along with this vocabulary, you should also use correct grammar, word pronunciation, and intonation (the rise and fall of the voice in speaking) while answering describe image type questions. We will separate the response in 4 parts – Start([Start] + [Image Type] + [Verb]), Description, Body and Ending. Here you will find the vocabulary for each of the parts mentioned above. When starting your response to PTE describe image question, you will need vocabulary for Start, Image type, and the verb to complete your first part of the response. You should be familiar with the type of image provided. There are several types of images and you should pick the correct name of the provided image. Below are the types of images that you should use in the [Image Type] part. Below are some of the verbs that you should use after [Image Type]. It is very important to end the response in a correct way. When you include start, description, body, and end in your response to PTE describe image, your response will be in a structured manner and there are good chances to score good points in this task. Ending part helps to complete your response. With the help of the above-mentioned PTE describe image vocabulary, you can create your own answer template and it will help you to score good points in the describe image PTE task. If you like and find this article helpful, then please share with your friends. Thank You ! !